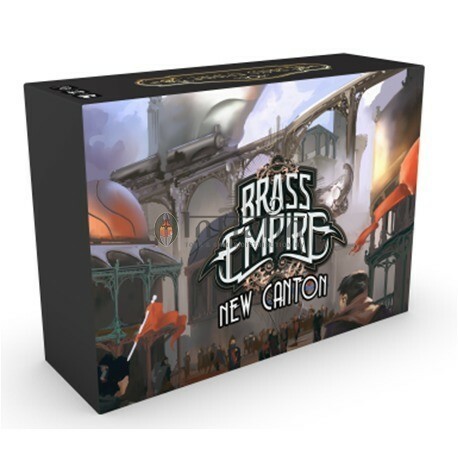 Brass Empire New Canton - Games, Toys & more e.U. The serene frontier town of New Canton has discovered a vast deposit of Brass. The discovery of Brass brings with it the inevitable influence of corporate greed and espionage. Powerful corporate factions desperate to control this natural resource are already sending their emissaries to the region. In an effort to secure New Canton’s Brass, each corporation has selected an employee for the task of establishing mining operations in the region. In New Canton, a deluxe campaign expansion to Brass Empire, you select a hero and play through an epic legacy story of greed, corruption, love and tragedy. As you play through the twelve game legacy campaign, you will be changing the rules, unlocking cards, customizing decks and progressing through a unique character's story between every match. Your story doesn’t end with the campaign. 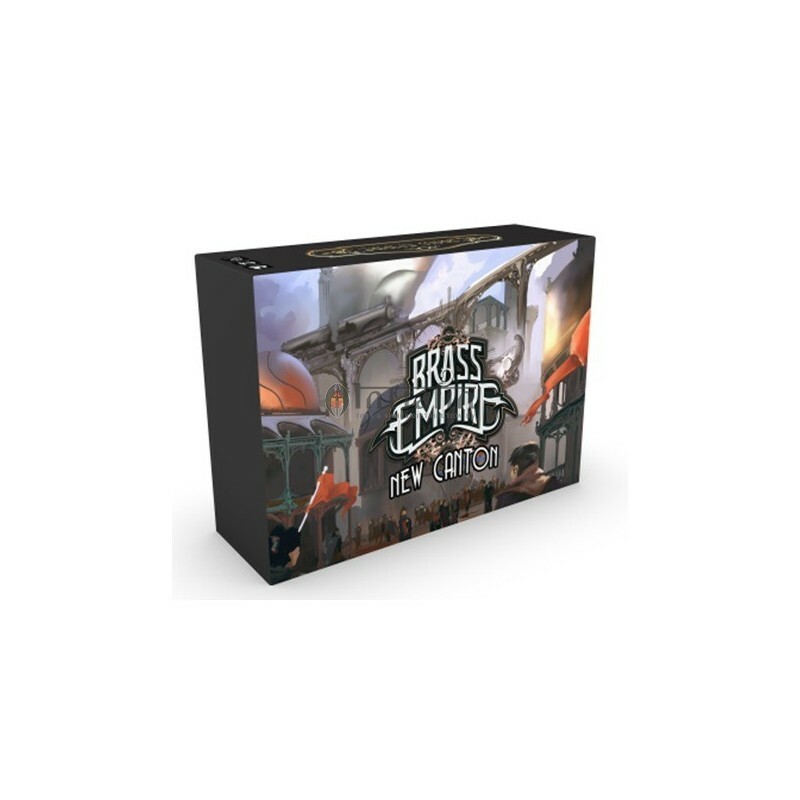 When the campaign is over, all of the cards you unlocked can be added to the original Brass Empire like a traditional card game expansion. Furthermore, You NEVER destroy any components and can play the campaign again and again from a different character’s perspective. New Canton adds a 6th corporate faction and supports play for up to 6 players and also introduces several new card types and game mechanics. What lies beneath New Canton is up to you to discover. Made in China.